About Ryland Pole Vault. Operated by Daniel Ryland. Located in Northwest Florida, along the Gulf Coast, in Santa Rosa Beach, just 4 miles from scenic Highway 30-A. Pole Vault Camps, Private Lessons, Equipment Sales. Ryland Pole Vault is a pole vaulting facility in North West Florida operated by Daniel Ryland, offering 2 day camps, 4 day Spring Break camps, Summer 5 Day camps & private training sessions. Daniel Ryland's personal best in the Pole Vault is 19'2 1/4. He worked under world renowned coach, Earl Bell of Bell Athletics for the previous 16 years coaching vaulters of all ages and abilities. He is happy to say he now lives in paradise and gets the opportunity to share the world of pole vaulting with others at Ryland Pole Vault! Poles (new & used), Crossbars, Custom Pole Bags, Custom Spike Bags, Pit Repair, Rollout Runway & more available for purchase at Ryland Pole Vault. Ryland Pole Vault is located in North Florida along the Gulf Coast in the community of Point Washington, within the town of Santa Rosa Beach. We are between Destin & Panama City. 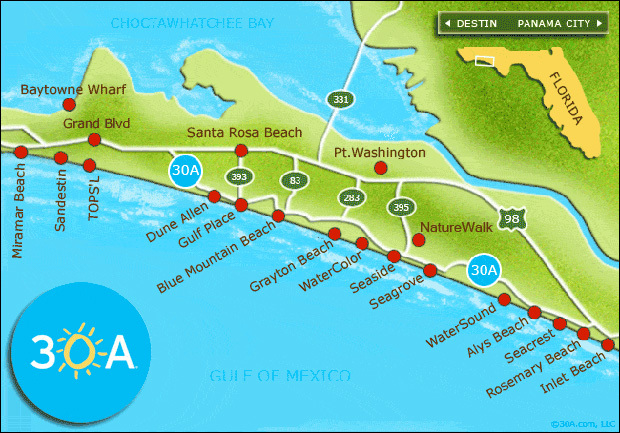 The beautiful white sand beaches along scenic Highway 30-A are just 4 miles south of the facility. The closest airports are Panama City Beach (ECP) serviced by Southwest Airlines & Delta, and Fort Walton Beach (VPS) serviced by American Eagle, Delta, United, & US Airways.